When the UK voted on Brexit, it was a mighty curveball that hit the world economy, impacting British industries as much as their partners worldwide. For Sri Lanka, this translated into a significant new dimension of uncertainty with the UK one of the most important trade partners of its most potent export—apparel. But Lankan apparel-makers have braved enough uncharted territory and economic turmoil to know that uncertainty is a sign of transformation and change is where new opportunities begin. What are the opportunities present for evolved manufacturers like Sri Lanka? What kind of collaborations interest the new British fashion economy? How should Sri Lankan apparel take advantage of its strengths? This is what David Reay, the chair of Northern Clothing and Textile Network, will set out to uncover for Lankan apparel-makers at what will perhaps be the most influential South Asian forum to shape the regional fashion business. 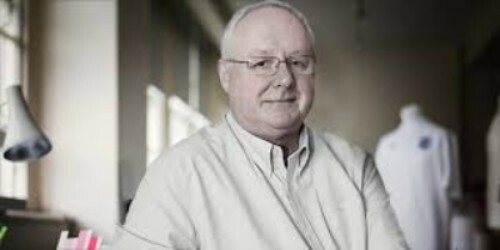 Reay, who is a widely respected clothing industry professional, possesses over 40 years’ experience in the international fashion trade, where he became known as a thorough analyst, on-point strategist and one of the most resourceful network builders. Reay’s consultancies have been trusted by major players like Marks & Spencer, Victoria’s Secret, Jockey, Calvin Klein, Speedo, Warnaco, and Barbour as well as many new brands to accelerate their growth and better focus their work. With his leadership at the Northern Clothing and Textiles Network, Reay has access to a remarkable vantage point. Using this, he will shed light on the next major moves of the UK clothing industry and how it will begin to explore areas where biological and creative frontiers merge. Reay will then point out how the UK’s clothing manufacturing industry is refocusing itself to reap the benefits of new, untapped market segments where intellectually and scientifically evolved consumers seek to bridge their ideas on perfect performance, whether at work or leisure, with their clothing. In his specialised session at the South Asian Apparel Leadership Forum, Reay hopes to share how these niche offers will present fantastic new opportunities to Sri Lanka, and how they will complement the local apparel industry’s capabilities as a maker of specialised clothing and as innovators of tech integrated yarn, textiles and wearables. Reay will also shed light on how the apparel industry will benefit working with emerging brands with a great interest in unusual clothing that links with market aspirations where performance-wear and style ideologies merge. Reay’s session will also touch on why it makes sense for Lankan manufacturers to collaborate in the testing of UK manufacturers’ products for customers close to their market and offerupscaling from Sri Lanka. Reay’s session will be held as one of the key sessions of the South Asian Apparel Leadership Forum 2018 edition held as part of the Mercedes-Benz Fashion Week Sri Lanka, held on Friday, 26 October from 9.30 a.m.–4.00 p.m. at the Dimo 800 Mercedes-Benz Centre of Excellence in Colombo. For more information and tickets, call 0763427772.